Was born in I 858, and educated at Cheltenham College and at Cambridge, where he rowed five years in the University boat. 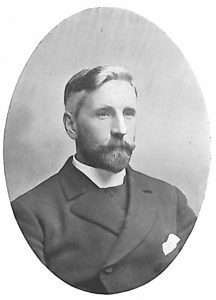 He was ordained in 1883, and licensed as Chaplain under the Missions to Seamen at Sunderland. He after­wards became Chaplain-Superintendent of the Mersey Mission to Seamen, and in 1905 was appointed Hon. Canon of Liverpool. He is a keen boat sailer, and enjoys his work afloat in the Mission steamer Good Cheer. Address: 79, Ulett Road, Liverpool.